The original WrestleMania 35 plan for new WWE Champion Daniel Bryan was to have him face SmackDown Commissioner Shane McMahon. WWE may have still teased Bryan vs. Shane right before Bryan's WWE Title win on SmackDown but The Wrestling Observer Newsletter reports that Shane vs. Bryan is no longer a direction they are going for WrestleMania 35. It appears Shane's planned heel turn with the WWE World Cup tournament win was leading to his WrestleMania match with Bryan. It's possible the Shane heel turn has been dropped as there was no sign of it on this week's blue brand show. 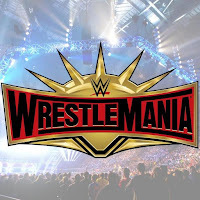 Regarding the top matches at WrestleMania 35, the only match that appears to be somewhat confirmed at this point is RAW Women's Champion Ronda Rousey vs. SmackDown Women's Champion Becky Lynch. Triple H vs. Batista, Bryan vs. Shane and Rousey vs. Charlotte Flair were all planned for the biggest show of the year at some point but they have been nixed due to injuries or other forced creative changes. There's no word yet on how long they plan to keep the title on Bryan or who his next major feud will be with but AJ Styles still has his rematch coming.